The Isra Wal Meraj holiday for the public sector will be on Sunday, May 25, announced the Federal Authority for Human Resources (FAHR). 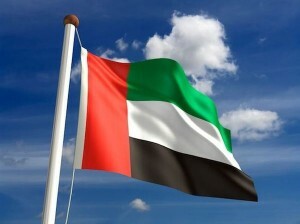 Humaid Mohammad Obaid Al Quttami, Minister of Education and Chairman of FAHR, issued a circular stating that the holiday, which officially falls on Monday, May 26, was moved to Sunday, as per a law issued by the UAE Cabinet, which stipulates that a holiday falling midweek can be moved to the beginning or end of the week. On this occasion, Al Quttami congratulated President His Highness Shaikh Khalifa Bin Zayed Al Nahyan and His Highness Shaikh Mohammad Bin Rashid Al Maktoum, Vice-President and Prime Minister of the UAE and Ruler of Dubai, and members of the Supreme Council and Rulers of the Emirates, and the UAE people, and the Arab and Islamic World.